Weddings and airplanes. I could not think of a better combo. This wedding ceremony was held in the Jack Mark Hangar of Wittman Airport here in Oshkosh, Wisconsin. 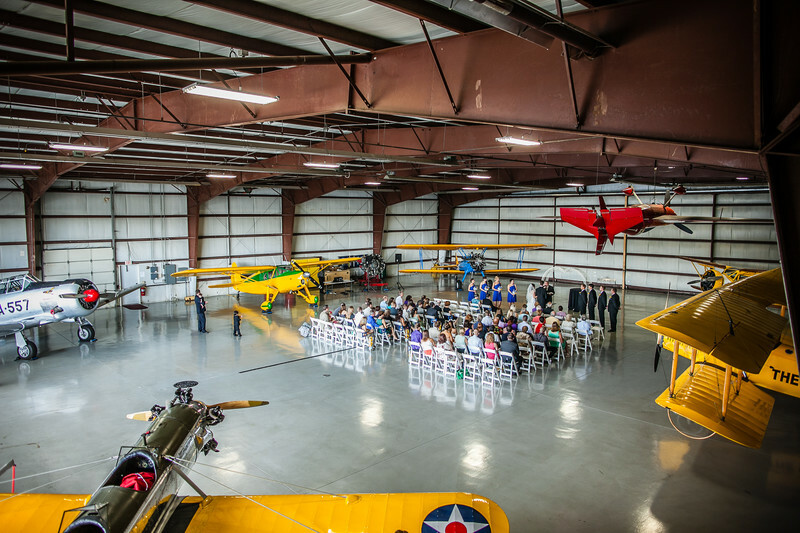 The reason the bride and groom chose this location is that they are both in the United States Airforce and aircraft are a big part of thsie lives. For this photograph I found a high vantage point so I could show the ceremony setting with all of the airplanes surrounding the wedding. 1/80; f/2.8; ISO 250; 24.0 mm.